I was busy these few days, and did not have time to write update on this tunic details. 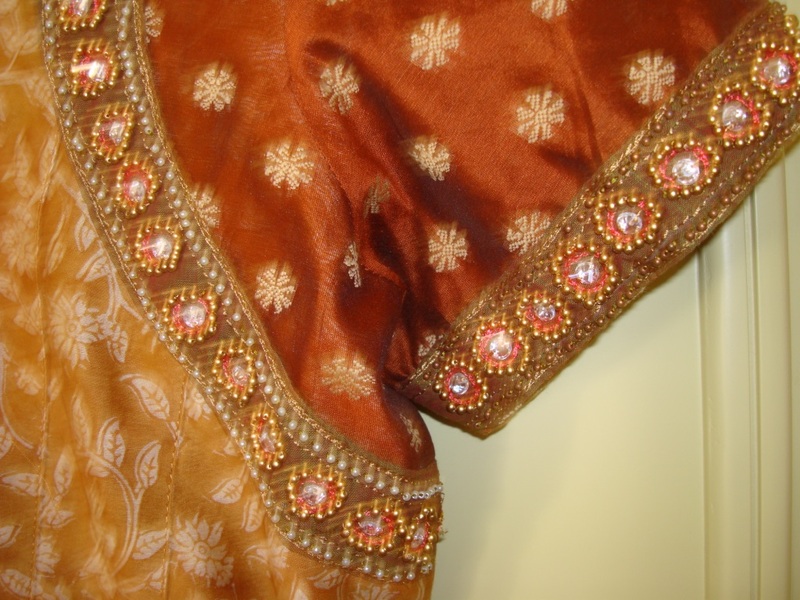 The details of the bead work. 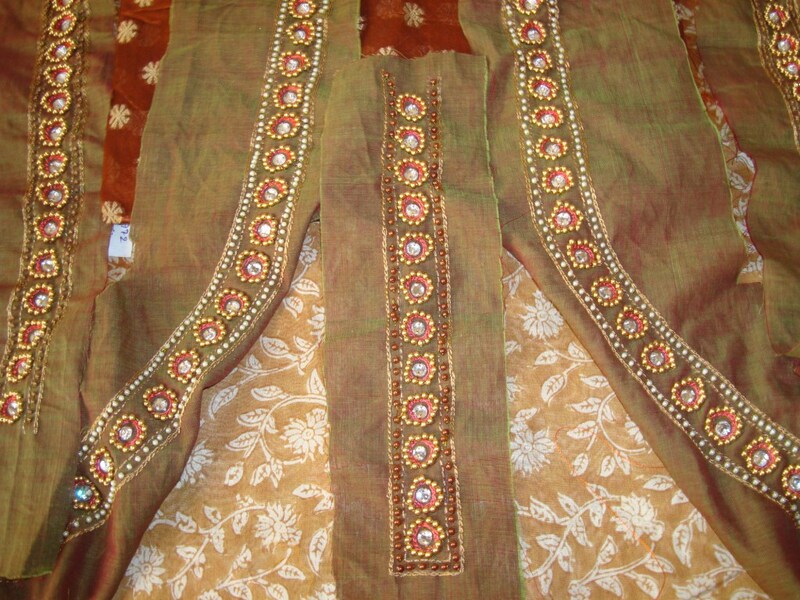 The completed yoke, panels, and sleeves , when placed over the tunic fabric. The tailor did a wonderful job of sewing this tunic. And the sewn tunic was , just the way I imagined and designed. 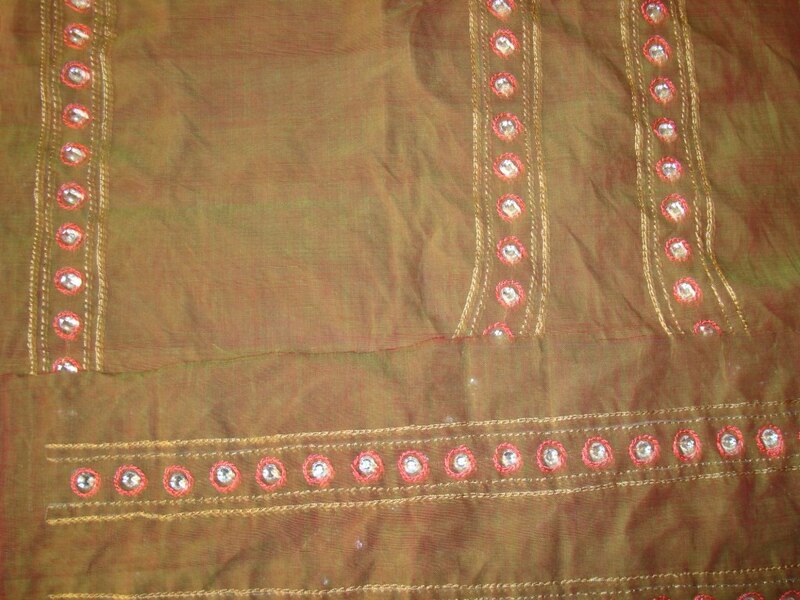 I wear a cream colour salwar[Indian pants] for this tunic. 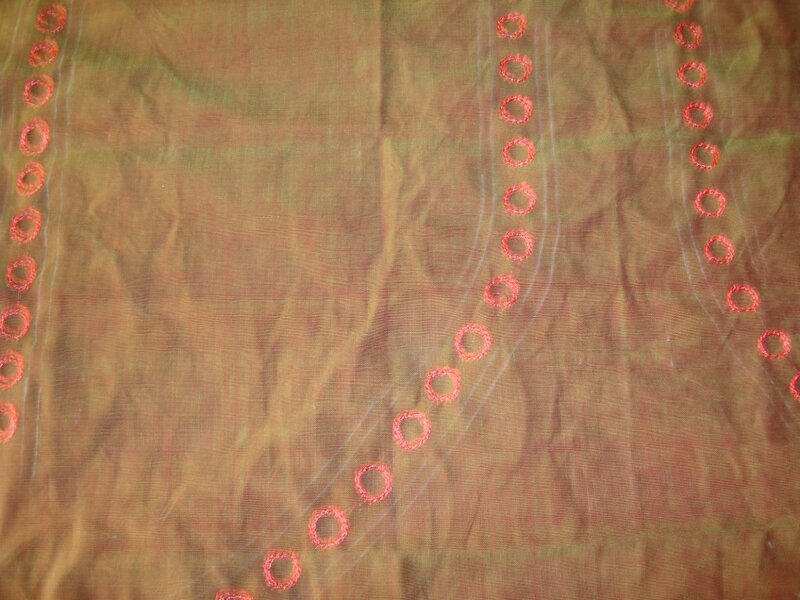 the chanderi tunic fabric needed lining, which makes me look stuffed, only this time, I don’t mind at all! 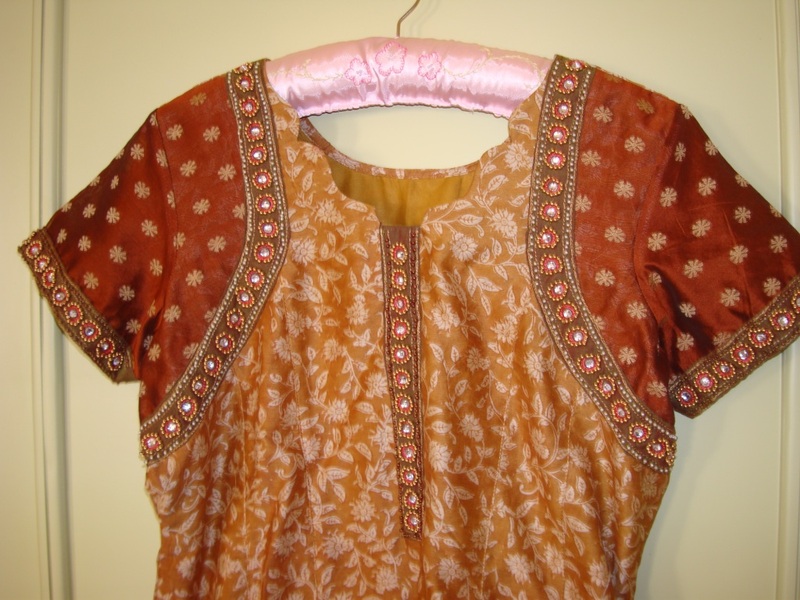 This tunic was ideal for using pearls , beads and stones. The colour combination worked very well for these embellishments. The borders are further embroidered with chain stitch and back stitch. 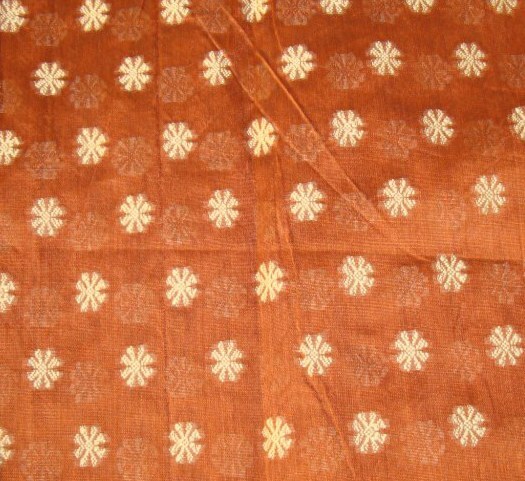 Antique gold colour silk thread was used for this. The embroidery is completed on these borders. now for the stones, beads and pearls. Stones were added inside the circles. And golden beads were worked around the circles. 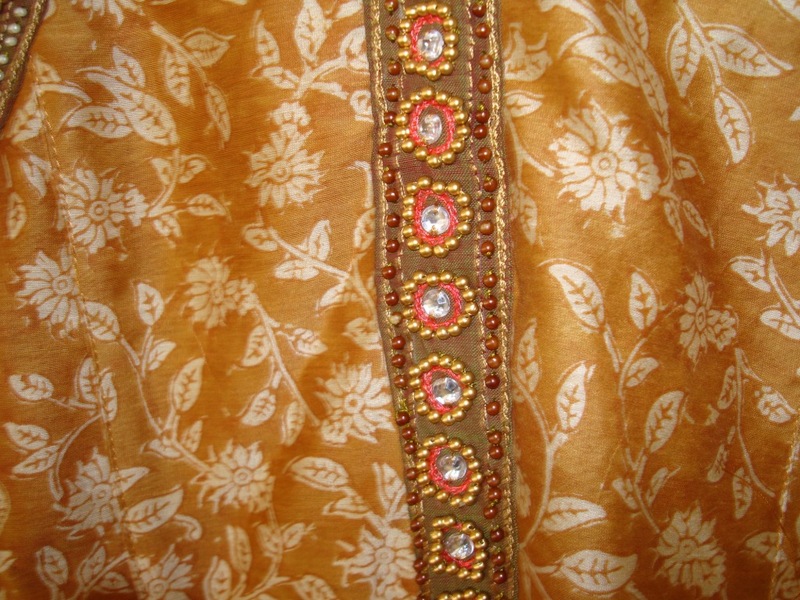 Border designs for sleeves, side panels and yoke worked with pearls, antique gold beads and white stones. 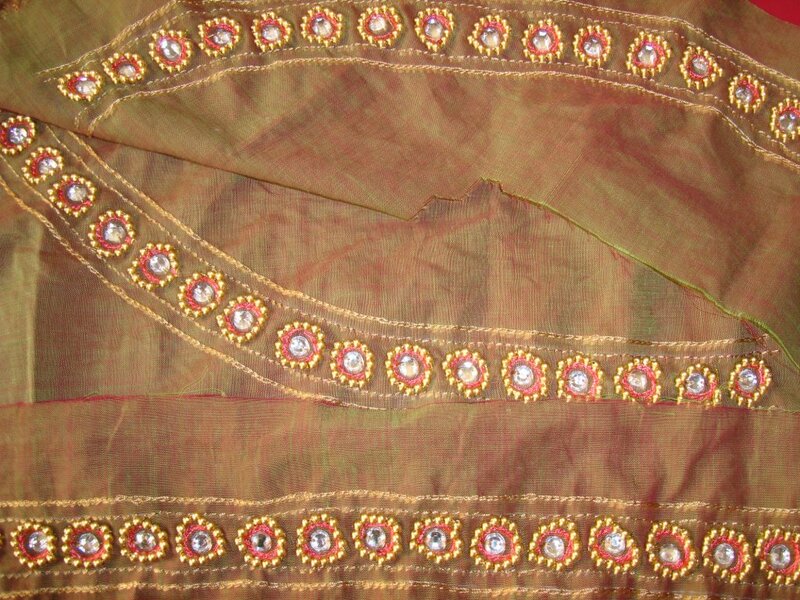 Silk threads were used for the embroidery. 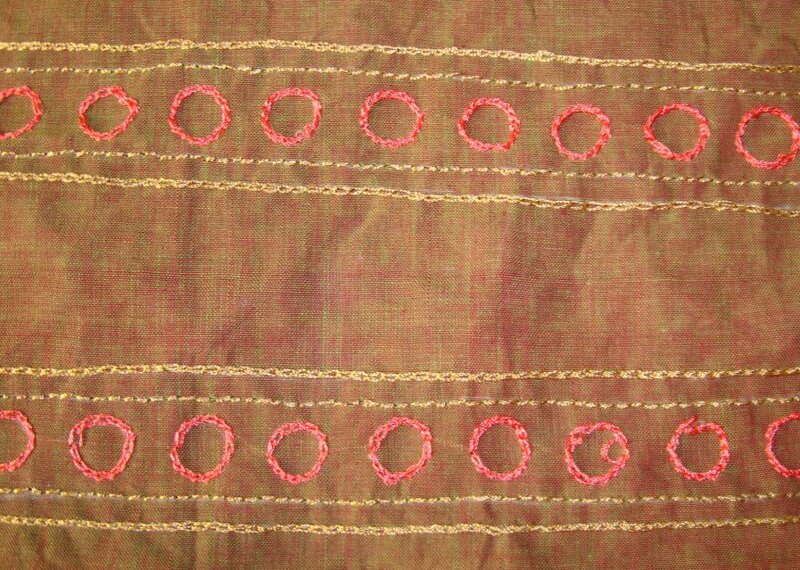 Peach colour thread was used to work the circles in chain stitch. These small circular borders are for the white stones.